I wrote this letter to Professor Szasz in May. But, I was too busy to send it. I was very shocked to see his online obituary. May God comfort his family! You are so smart, enthusiastic, and productive. I am a psychiatric nursing teacher in Taiwan. I admire your genius, courage and contribution. I recommend our school's library to purchase all books authored by you and Dr. Peter Breggin. So, one bookstore in Taipei is beginning to sell your books in Taiwan. I agree with most of your opinions about psychiatric issues, but I must respectfully disagree on some of the issues. While I disagree with CCHR's negative attitude toward psychiatry and psychiatrists in general, I think some of your points make a lot of sense. Indeed, over-diagnosis, misdiagnosis and over use of medications are common problems in psychiatric field around the globe. I think psychiatric patients need to have more human right. Even if they have recovered from mental disorders, they still stay in hospital for a long time in Taiwan. (Patients were kept in locked hospital longer than required.) Prisoners in jails can expect to be released from jails after serving sentences, but some patients in chronic psychiatric wards in Taiwan cannot expect to be discharged even they have recovered. It is like serving life sentences. I respectfully disagree with CCHR's view point that encourages patients to sue doctors for malpractices in situations where harms were not intended. Psychiatrists prescribed many psychotropic drugs or used ECT on patients according to psychiatric literature or based on what there were taught in school or in residency. Many psychiatrists do promote mental health enthusiastically like you. On some occasions, psychiatrists' good intention was perceived completely the opposite from patients' perspectives. (Sometimes, psychiatric doctors think they are doing something good for patients, but in patients' views, it's harmful to them.) In such situations, taking a doctor to court would be very discouraging to kind-hearted doctors. In order to have creative progress, we have to inspire critical thinking. All drugs have side effects, especially psychiatric drugs; the minimal dozes of medicine the lesser side effects. Drugs are the last choice, not first choice like the psychiatric physician said, for the disturbance emotions or behavior. In my view, non-pharmacological therapies should be used more widely and empathic relationship should be promoted in psychiatric care. In addition, your autobiographical sketch indicated that you and your parents are atheism. You write:If you talk to God, you are praying; If God talks to you, you have schizophrenia. You are so humorous. As a Christian, I do believe in God. I do believe that God answers our prayers. High proportions of people in the general population have mystical experiences. While someone said God talks to him/her, maybe it's an adjective, not a perception from sensory organ. I think there are some good methods to dealing with problems in life at the Scientology website. But talk about religion and belief, I think it's misleading. I will pray for you and may God talk to you by himself. I do hope someday you will believe in God. Hope you live healthier and longer. Tom Szasz is one of my greatest teachers. I learned so much from his incredible works that helped me to be clearer in my thinking. I was also inspired by his ongoing, relentless continued efforts, and by his ability to keep on regardless of results. He said it was enough to know you are telling the truth and continuing to do so as best you can. I will miss his presence greatly. At first Szasz was only a name I heard in my psychology studies; I didn't get why it always seemed slightly scandalous. I found out when I started reading him for myself, which kept me from ever drinking the psychiatric Koolaid and set me on the independent path I'm proud to follow today. Tom's respect for the capabilities of the human mind was unmatched, as was his impatience with sham and hypocrisy. For decades,he was my srongest inspiration; in the past few years, my very kind friend. I was blessed to finally meet him last spring, when I brought him a copy of the book that could never have been written without his profound influence on my career. We may even have been distant relatives due to some obscure Viennese connection; I'd like to think so! In any case, we shall not see his like again. I won't say "rest in peace" because I'm sure he will have lively debates in Heaven too. My deepest condolences to his family, and a heartfelt, if wholly inadequate, thank you to Tom. We thank you for your life's work and that your mind is still with us. Condolences to family and friends from Polish IAAPA Section. 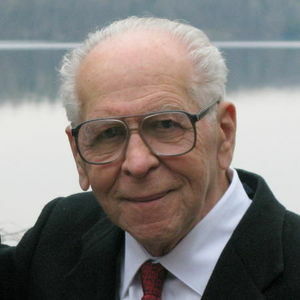 Dr. Szasz was one of the great intellectuals and advocates of liberty of his time. He wrote with clarity, precision, humor, and grace. The best way to honor his life is to read his books. We lost a gret friend and a philosopher who inspired out thought. Tom was a giant blessed with a stunningly original intellect and the ability to communicate it. He was brave, courageous, and unyielding in the defense of individual liberty. He will be missed terribly, but his books, lectures, and articles stand as a magnificent repository of wisdom and I, for one, am grateful beyond measure. Suzy I was so sorry to hear about your father. We had just talked about how he was doing at the reunion so it came as a surprise. I remember him so fondly. He was always such a force of nature... full of energy,a quick wit,a wonderful sense of humor, and always a twinkle in his eyes. Your house was always a welcoming place, and the many happy times we spent there hold many cherished memories! I may not have always understood Dr. Szasz when he talked (accents aren't my forte...and he did talk pretty fast lol), but I always enjoyed talking with him. In a very good way, he wasn't your average dad. The times spent with him, and your Yinky too, were always memorable.He is undoubtedly one of the most brilliant and intersting people I have ever had the privilege to know.I know his spirit and keen mind lives on in you Suzy, and in Margot and Andrew as well. My thoughts are with you all, and sending you my deepest condolences. Tom was the greatest physician of our time. He didn't discover any new diseases or invent any new treatments. He just understood the doctor -patient relationship and restored dignity and respect to it. I was proud to correspond with him since 1986 and help put on the debate he had with Dr. Torrey. Tom cited me in the acknowledgments of CRUEL COMPASSION. He was humble about his achievements. I will miss him, terribly.